This time the roaming operator is responsible for all the core services. 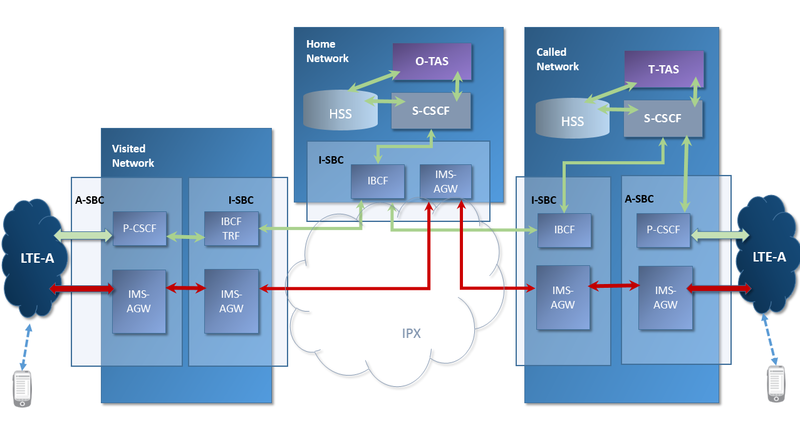 Again the P-CSCF is in the home network. 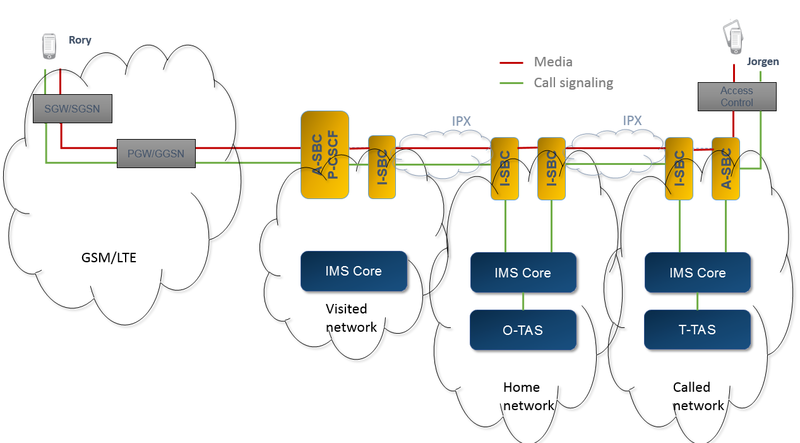 The last option is what you can find in every IMS text book – the P-CSCF is in the visited network and based on the DNS response the P-CSCF will send the message into the home network. The A-SBC (P-CSCF) interacts with the PCRF and also anchors the session for eSRVCC (ATCF/ATGW/EATF). 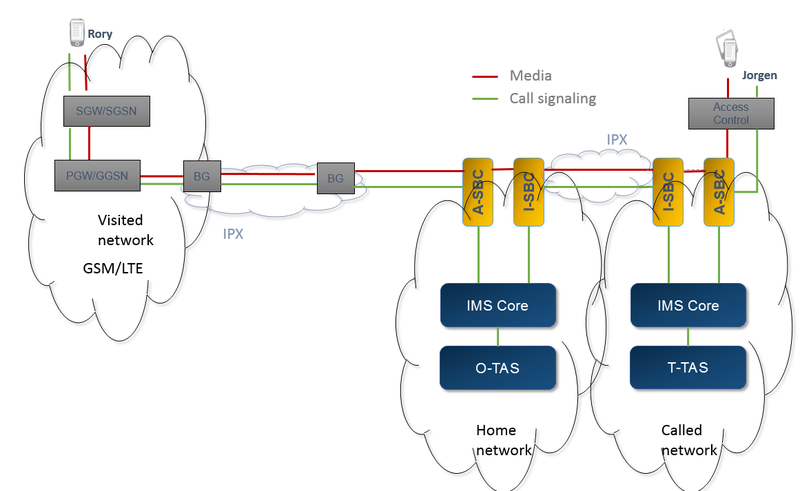 This model is referred also as Roaming Architecture for Voice over LTE with Local Breakout (RAVEL) or just Local Brakeout (LBO). This variant was suggested as a final and ultimate solution for IMS roaming. Based on the service, commercial considerations and regulatory obligations we have two options here how to route the data. To bring media to the HPMN A and send both the control and user plane from the HPMN A to the destination – in this case OMR is terminated in HPMN A. The routing decision is performed by the HPMN A in the S-CSCF (or the BGCF). Note we have a new network function called Transit and Roaming Function (TRF). The Loopback routing is indicated in the Feature-Caps of the SIP INVITE request via +g.3gpp.trf tag. 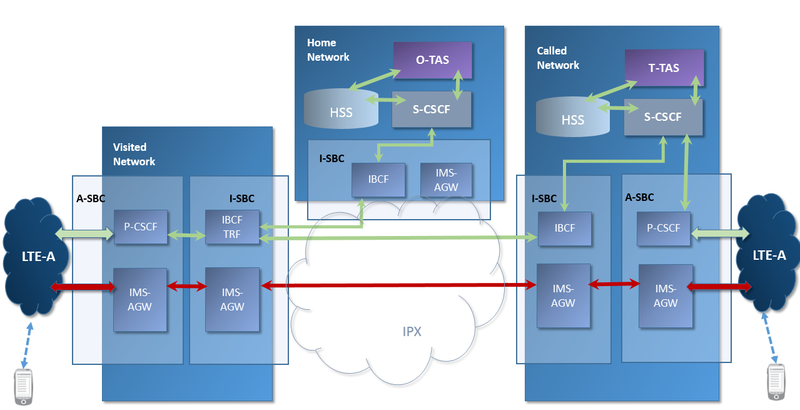 The home S-CSCF will remove this capability indicator and add +g.3gpp.loopback and will set the +g.3gpp.home-visited to the to the identifier of the visited network received in the P-Visited-Network-ID header field in the original invite/registration request. More in the 3GPP TS 24.229. This architecture can be interesting especially for national or internal roaming. More details along with the detail flows can be found in the 3GPP TS 29.079. More information about VoLTE codecs can be found in VoLTE Close Encounters post. Would you be interested in more details, you can check the GSMA Network 2020 Programme Summary. Interested in 5G roaming? Check out post IMS and 5G. This entry was posted in IMS, LTE, VoLTE and tagged 4g roaming, lbo, loopback routing, ravel, roaming, roaming architecture, s8hr, volte roaming. Bookmark the permalink. 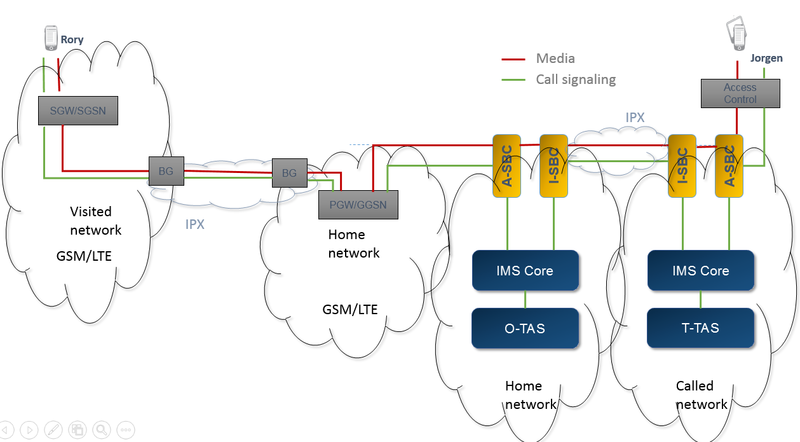 Thank you for the high level explanation and your effort to describe these VoLTE roaming architectures. However, I believe that the terms RAVEL and LBO should not be used interchangeably. That is due to the fact that LBO offers three options: LBO-HR, LBO-VR and LBO-OMR. Therefore, RAVEL would rather mentioned as being the same as LBO-VR than simply LBO. thank you for pointing this out. I admit that it is a bit misleading. I believe RAVEL is an older term for what we should call currently LBO. If I’m not mistaken, the requirements on RAVEL from beginning allowed both types of media routing (see 23.850). If not, could you please point us to some resources?